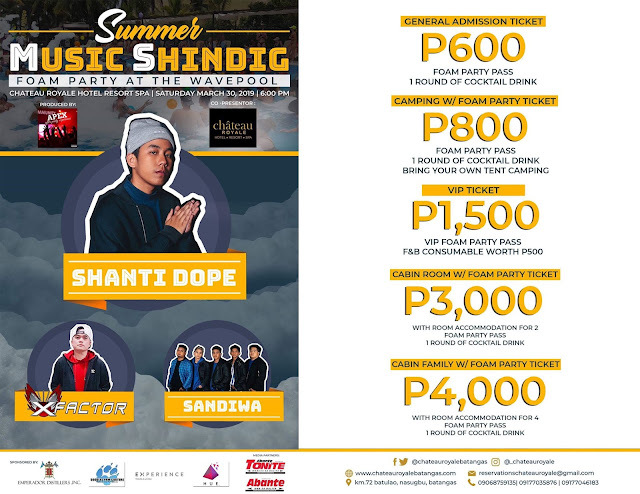 Chateau Royale Hotel Resort & Spa celebrate the summer with a rip-roarin party and all-night entertainment led by rapper and songwriter Shanti Dope, XFactor, Sandiwa, and a whole lot of exciting guest performers. The summer shindig is happening on March 30, 2019 (6:00p,) at the Chateau Royale Hotel Resort & Spa in Batulao, Batangas. This is the place to be and welcome summer!